Coventry’s iconic black cab firm is celebrating a “ground-breaking” milestone after making its first vehicle to be shipped overseas in six years. 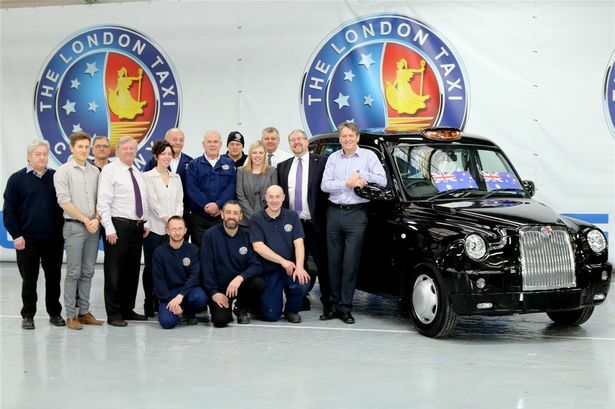 The London Taxi Company has produced a purpose-built cab which is destined for Melbourne in Southern Australia. It is the first export since 2009 and the first vehicle made in Coventry for an overseas client since the company was bought by its Chinese owners Geely. The cab will undergo inspections on arrival to ensure it complies witih Australian authorities. And after approval, a further order of several hundred vehicles is expected from the main Australian distributor – The London Taxi Company Australia – into the city of Melbourne. Since 2009, the Holyhead Road production site in Coundon, has produced vehicles solely for the UK domestic market with its Chinese sister company, Shanghai London Taxi International, producing vehicles for the international markets including South East Asia, the Middle East and North Africa. Peter Johansen, vice president of UK operations, said: “The production of Melbourne’s London taxi here in Coventry is a ground-breaking step for us as a global business. “It’s our vision to see our iconic black cab on the streets of all major cities around the world and our team here are fully equipped to contribute to that. “We’re excited by the opportunity this offers us here at the Coventry plant. The London Taxi has been customised for the Melbourne market to include a hot climate specification and other features, as specified by Australian Design Rules. An Australian radio station recently hosted a poll in which listeners chose their London Taxi’s colour of choice, in which the iconic black was the winner. PreviousThis morning I rode to work in a Metrocab, London’s first electric taxi – is this black cabbies’ Uber-killer? NextShould We Protect Black Cabs from the Menace of Discount Apps? Top German court deals blow to Uber as complaint is classed as admissible. Will Uber Be the Boss of You?